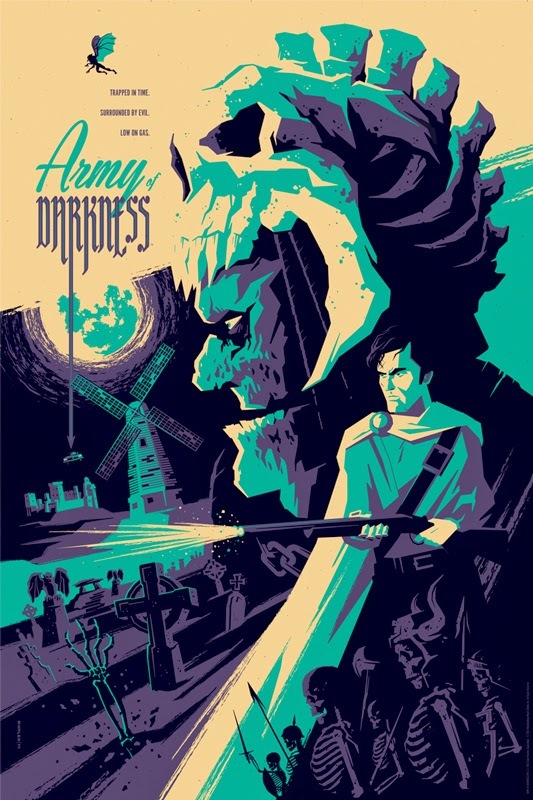 Sam Raimi's films really straddle the line between scary and funny, and Army of Darkness is certainly no exception (in fact, it may have set the bar). Our latest FSF finds Ash (Bruce Campbell), hero of the Evil Dead films (and TV show?) 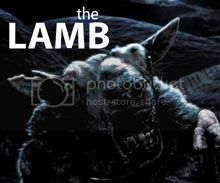 and slayer of Deadites, thrown back in time, abducted by "Lord" Arthur, and thrown into "The Pit". I remember seeing this movie for the first time in high school (this is one of those franchises where I saw a sequel first and then watched the originals later). I was genuinely creeped out by the beginning of this scene, where you see the demon's hand silently come up out of the water like some horrible periscope. And then it's gone, leaving Ash to fear the gently rippling water. Suddenly, the demon bursts from the murky water, launching into a Three Stooges routine with Ash, punching him silly. This assault reveals one of the great qualities about Bruce Campbell's Ash: whereas a lot of characters would be terrified of this creature, Ash is kinda pissed off (but still terrified). My favorite part of course is right at 1:39 where Ash perfectly, miraculously catches his chainsaw right on his stump with an assist from the Wiseman (played by Ian "That Guy" Abercrombie). It's so silly, yet so, so awesome. The fanfare kicks in and it's Deadite slicin' time from there. P.S. The only bad thing about this week's scene is that we don't really get any "Ash-isms". I hope this makes up for that. What's your favorite scene from Army of Darkness?